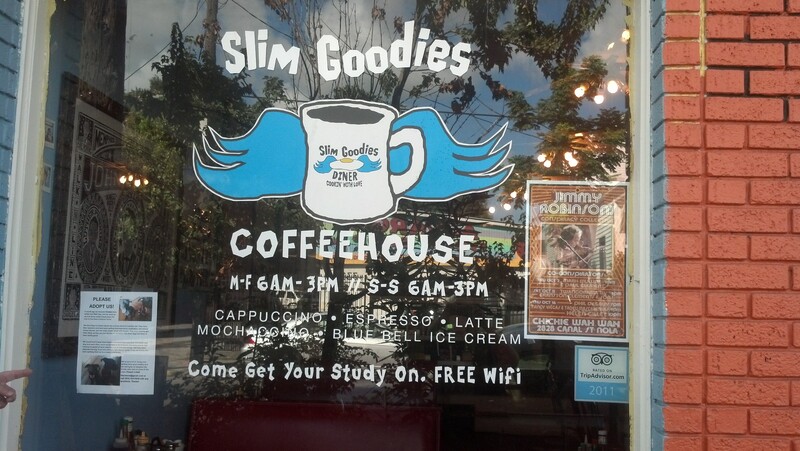 Wanting to send off my pals with a hearty breakfast, we went down Louisiana Avenue to Magazine Street to visit Slim Goodies Diner. Their menu is extensive, the plates are overflowing with awesomeness and the staff as friendly as can be (especially if you’re suffering from a hangover or just hung over from too much of a good thing). 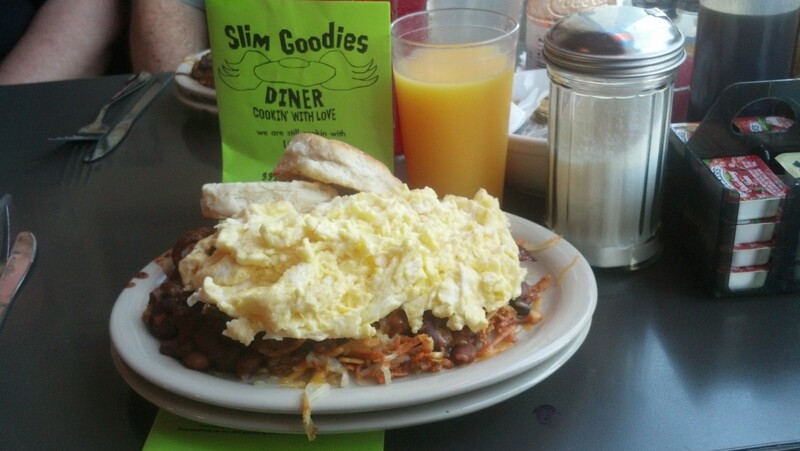 Both Brian and I went for the Orleans Slammer – hash browns, Slim’s chili, 2 strips of thick bacon, two eggs and melted cheddar cheese (plus a biscuit). There was a lot of food on that plate and it was all good. 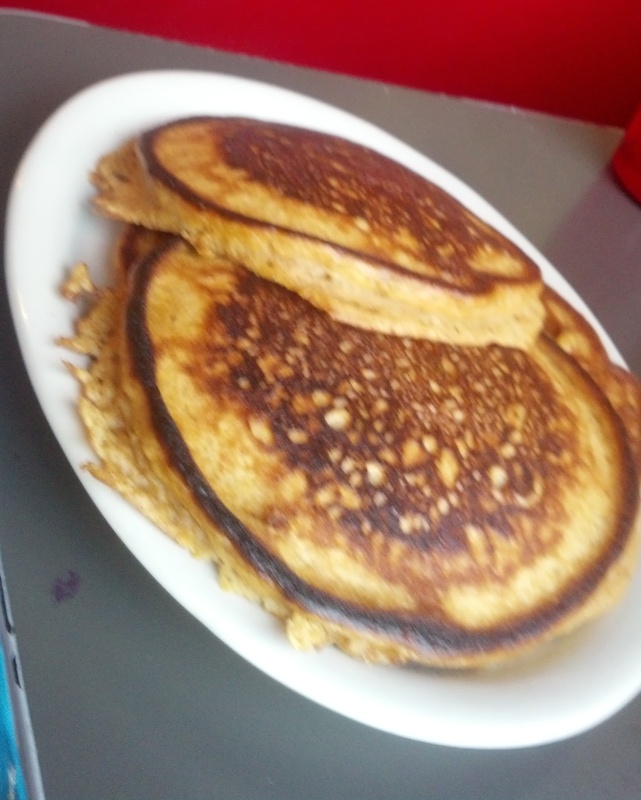 Michelle went for the sweet potato pancakes and found they were sweet enough to not need syrup or butter. I thought they were a little dry without it but plenty sweet without the syrup. 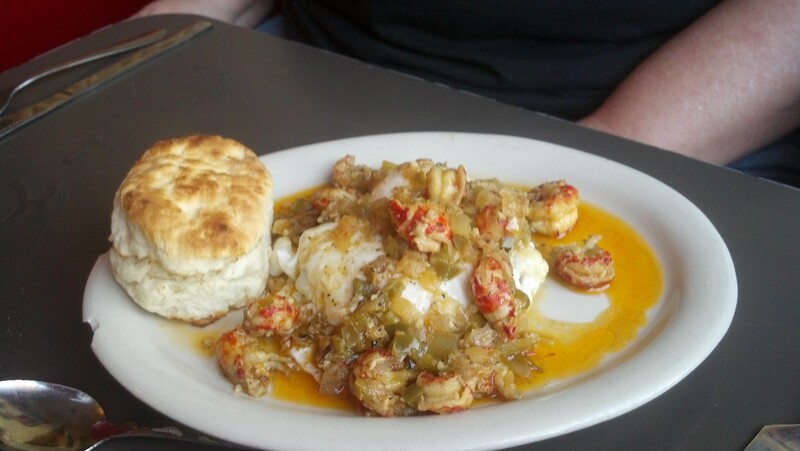 Jennie had the crabby wife – crab cakes topped with 2 eggs and covered with crawfish etouffee. A little too strong seafood for that hour of the morning for me but still pretty delicious. The service was with a smile and refills for drinks came fast. The coffee lovers at the table really appreciated that. The menu is extensive and we just touched a bit of it. I hope to go back soon to try some of the waffles. I most heartily recommend this place. They also have really great vegetarian options!